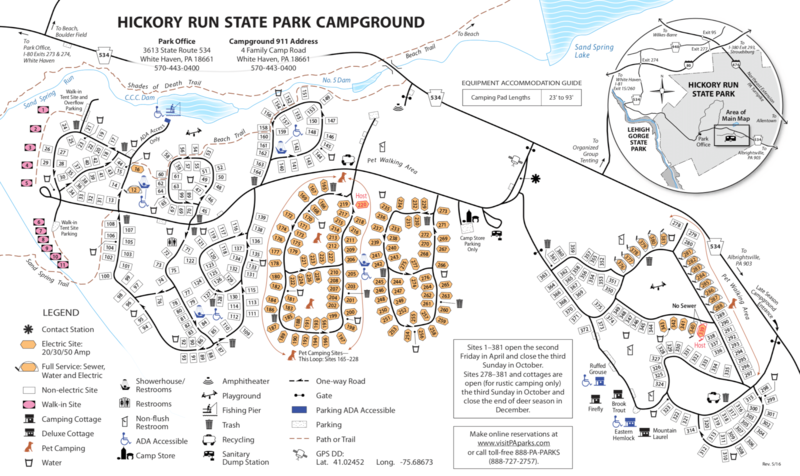 Hickory Run State Park Campground has 380 campsites for tents, trailers and RVs. There are 127 sites with hookups (15 full hookups). Group camping and cottages are also available. This large tent and trailer campground has modern restrooms with flush toilets and hot showers, a dump station and camp store. Firewood, ice and supplies area available at the camp store. The restroom facilities and dump station are open April through October. All facilities with running water close the end of October, but rustic camping continues until mid-December. Each campsite has a table, fire ring and grill. Hickory Run State Park includes almost 16,000 acres and is located in the western foothills of the Pocono Mountains. The Park is very popular and has a wide variety of outdoor recreation including 40 miles of hiking trails, 3 natural areas, great fishing in numerous trout streams, swimming, hunting, hiking, disc golf, winter sports, a large campground and of course the famous Boulder Field. 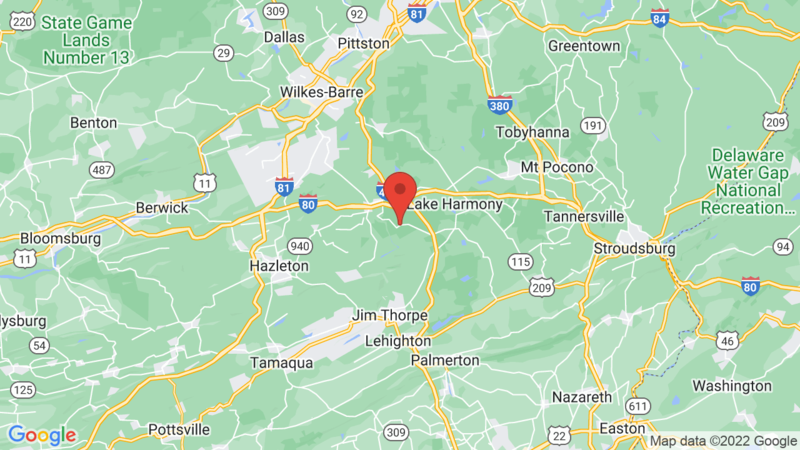 Two other Pennsylvania State Parks in the area are Tobyhanna State Park and Locust Lake State Park. Visted Hickory Run State Park Campground lately? We'd love to hear about your adventure. Did you find us useful? Did we forget something? Anything our community should know before heading out to Hickory Run State Park?